In this book on the optimal treatment of the injured spinal cord we present the reasons why we consider it necessary to handle trauma- tized medullary tissue in accordance with the classical biological principles of wound healing in general, namely by long-term, ten- sion-free immobilization of the spinal cord. Today, such immobili- zation for this purpose can only be achieved by surgical secure- ment of slight dorsiflexion of the cervical spine. Traumatically compressed medullary tissue is invariably attenu- ated and weakened. On application of skull traction, the weakened section of the compressed cervical cord is the part that is most overstretched. This inevitably results in increased neurological def- icit. 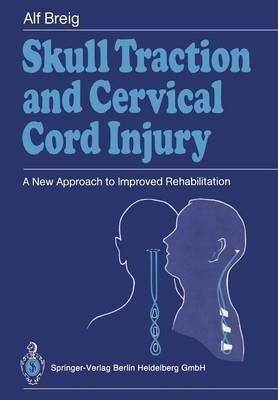 On scrutiny of the clinical records of 100 tetraplegic patients treated by skull traction at the National Spinal Injuries Centre at the Stoke Mandeville Hospital, Aylesbury, England, from 1971 to 1982, we found that therapeutic skull traction had been followed by an immediate increase in neurological deficit in 12% of the patients - a relatively high figure for the type of case in which beneficial effects oftraction were habitually anticipated. Moreover, in studies on cadavers, artificial defects in fresh human cervical cord in situ showed typical deformation following application of traction, confirming the basic deleterious effects of therapeutic skull traction on the injured cervical cord.